Sending Christmas Thank You Notes is such a lovely tradition ... one which my Mum was a real stickler about! I think sending personalised thank you notes is a really lovely part of Christmas. It would have made my life ... and Mum's too ... so much easier and so much more fun if we'd had some interesting thank you note examples or templates to fire our creativity. And Christmas offers so many opportunities to say 'thank you' ... for everything from thoughtful gifts, fun parties, indulgent Christmas lunches and much appeciated money! So, to help you enjoy creating your own Christmas Thank You Notes, here's my collection of Christmas thank you note examples ... all of which are free for you to copy and use. I hope your friends and family will be delighted with the thoughtful, individual Christmas thank you notes you create! I've included a selection of thank you notes suitable for children to use, or for you to send on their behalf, as well as ones more appropriate for adults. And I hope you enjoy the new pages with simple, inexpensive ideas for home-made thank you cards and suggestions for Christmas thank you gifts too! Happy Christmas and happy browsing! Thank you for the wonderful selection of home-made choccies and fudges. We have tried some already and they are simply delicious! You know how much I love vanilla fudge and the children are thoroughly enjoying the chocolates. Thanks once again for your thoughtful gift. Thank you so much for the fabulous bottle of dessert wine. We enjoyed it very much on Boxing Day! It was very thoughtful of you to hunt down to exact wine you know that I love. 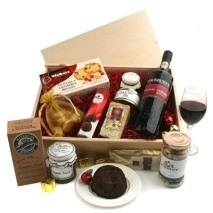 What a wonderful surprise it was when our Christmas hamper arrived this morning! You are so kind. It is packed with lots of our favourite goodies and we are really looking forward to treating ourselves. We will be having a Champagne breakfast on Christmas morning! Thank you again for treating us this Christmas. Your fabulous hamper arrived this morning! Thank you so much for recognising the team with such a wonderful selection of goodies that we can all enjoy. Thanks once again for your thoughtfulness. Thank you so much for the money you sent for Jenna's Christmas gift. As she is having her first bicycle this year, we have used some of the money to buy her safety helmet and stabilisers, with the rest going into her savings account. Jenna will be writing to thank you personally after Christmas. Christmas is such a special occasion. 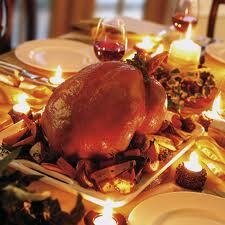 I think there is simply nothing nicer than being asked to share a Christmas meal with family or friends. Because this is such a special time, when your host or hostess will have put masses of effort into creating a fabuous meal and decorating their home beautifully, I've created a new page full of ways to say thank you for Christmas dinner. You can also read contributions from visitors to this site, sharing their own successful thank you ideas for the festive season. Thank you so much for inviting us to join you at home on Boxing Day. It was a wonderful party which we enjoyed very much, especially that fabulous white chocolate and raspberry gateau!